So much can happen in just 60 seconds. Have you heard of the ~One-Minute Rule~? It goes like this: If you notice a task that will take less than one minute to do, just do it right away. It's usually tiny tasks like hanging up your coat, making your bed, refilling your water bottle, or texting someone back. But as anyone knows, these seemingly small things can pile up without you even realizing, and take a (not-so-tiny) amount of time when you finally *do* get to them. Basically, the One-Minute Rule is a way to trick yourself into doing all of those little things you put off because they seem kinda annoying in the moment. I first learned about it years ago, but recently decided to try it after listening to this episode of Happier with Gretchen Rubin (her post about it is here). Seems simple enough, right? So I decided to spend an entire week living by it. I'm pretty organized and on top of *some* things, but there are still so many little things I tend to just ignore, or put off, even though on some level I'd really like to get them done. For example, while I'm in the middle of cooking a meal, I'll fully intend to do the dishes after eating. But when that time comes, I'm more likely to just leave the dishes for the next night (then the next...and the next). So TBH, I lightly dreaded this experiment at first because I knew it'd cut into my "me" time. But I also wanted to be more motivated to do small things in the moment. I comforted myself with the reminder that if I hated it, it'd at least be over in seven days. And (spoiler alert!) it's a habit I intend to keep, y'all. 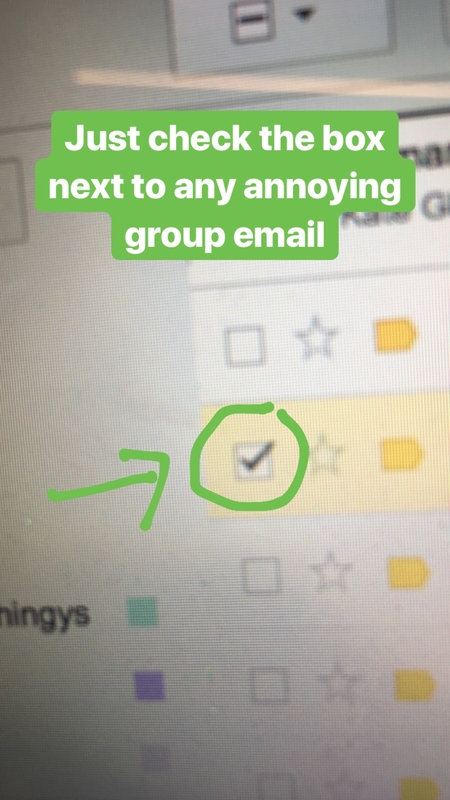 Here's what I discovered: Most tasks aren't as annoying as they seem. And the end result is worth each little minute. Honestly, you'd be amazed at what you can get done in just five minutes. While it did cut about 20 minutes from my prized nightly veg-out-on-the-couch time, it *also* saved me from spending my Saturday morning dealing with stuff that piled up throughout the week. 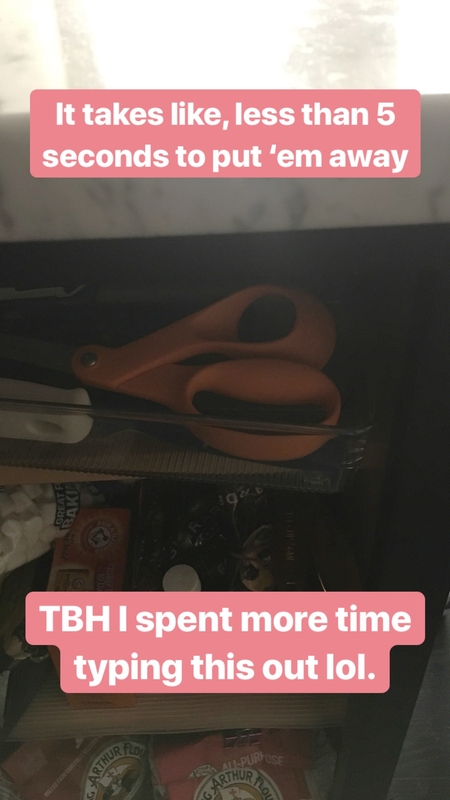 When I got something out (like the scissors), I also put it away when I was done. Idk, maybe you do this naturally? But I sure don't. 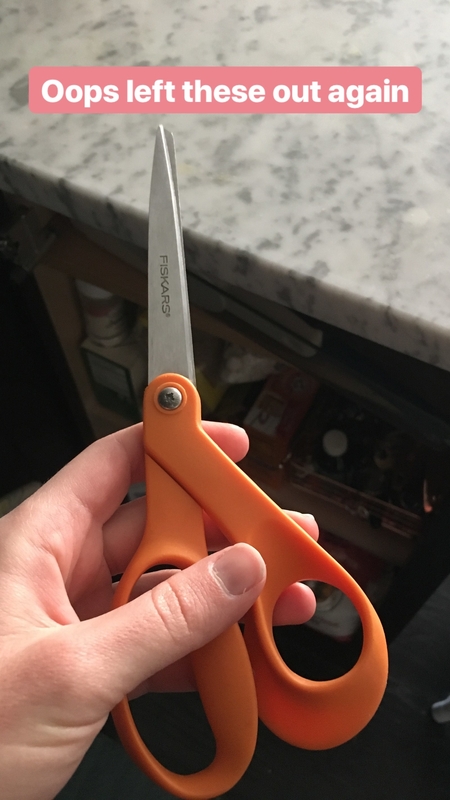 One example of many: I opened an Amazon Prime package one evening and left the scissors on the kitchen counter, per usual. But once I put the stuff away, I noticed the scissors sitting there — and walked the few extra steps to just put 'em away. I loaded everything in the dishwasher every night, actually washed pots the night I used 'em, and put clean dishes away in the morning. 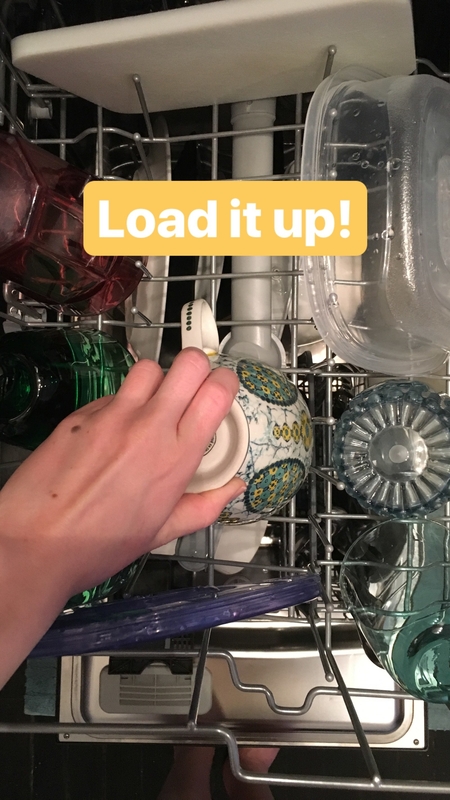 Any single dish takes basically no time to load into a dishwasher — just quickly rinse and put it in — so my bowl and spoon after breakfast, containers after lunch, and plate, fork, and knife after dinner were easy one-minute wins. Small things like prep knives and cutting boards take basically 30 seconds each to hand-wash and set on a towel to dry, so those came next. 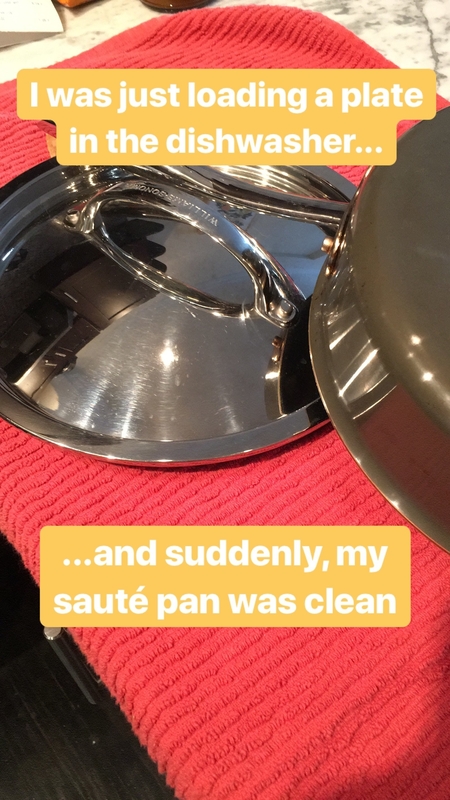 At that point, if I had any big dishes, well, the water was hot and the sponge was soapy so...I always ended up tackling those, too. 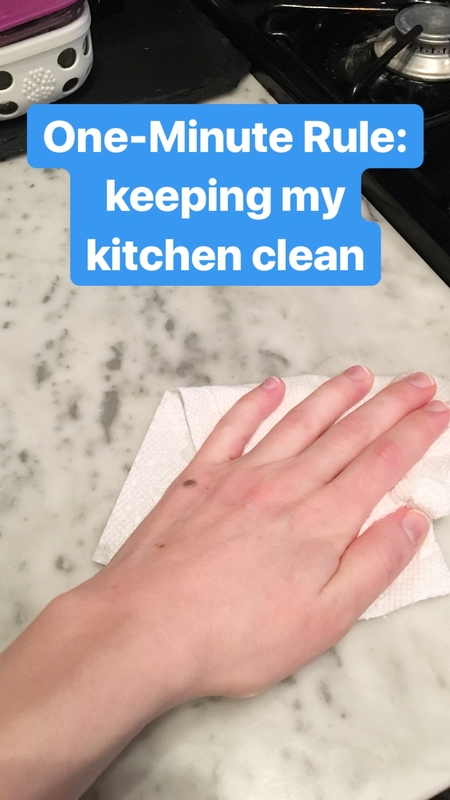 I wiped down my kitchen counters every night. Once the sink and counters were clear of dishes, I'd notice the crumbs and smears they left behind. And it took less than a minute to pull out a Clorox wipe and go to town. 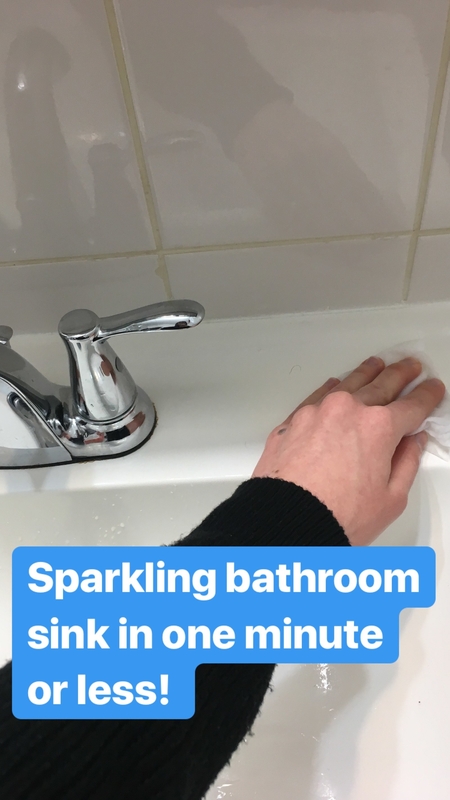 And two different evenings, after I finished my ~night-time routine~, I noticed that my bathroom sink could stand a wipe-down, too. Anything that takes less than a minute! 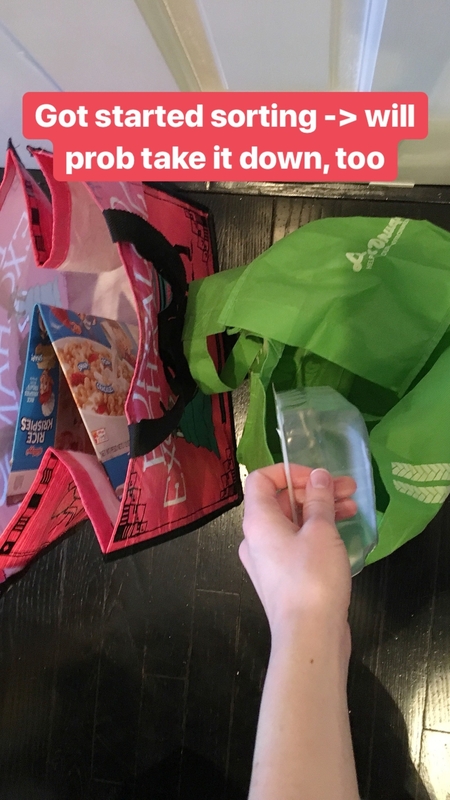 I took my recycling down the moment it overflowed the tiny trash can I keep it in — because the One-Minute Rule made me sort it. The trash room in my building stinks and sometimes has mice, so I tend to avoid it as much as possible. 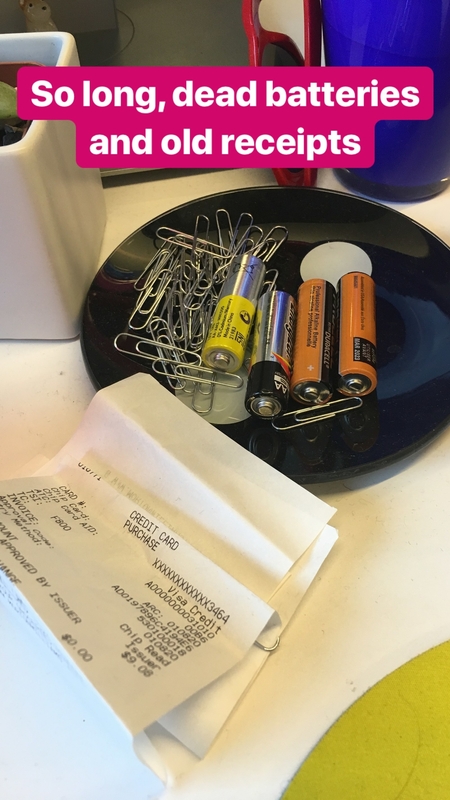 But I also recycle everything I can. So when I procrastinate for a week (...or two...), my recycling turns into a teetering tower of wine bottles, strawberry clamshells, and milk cartons. 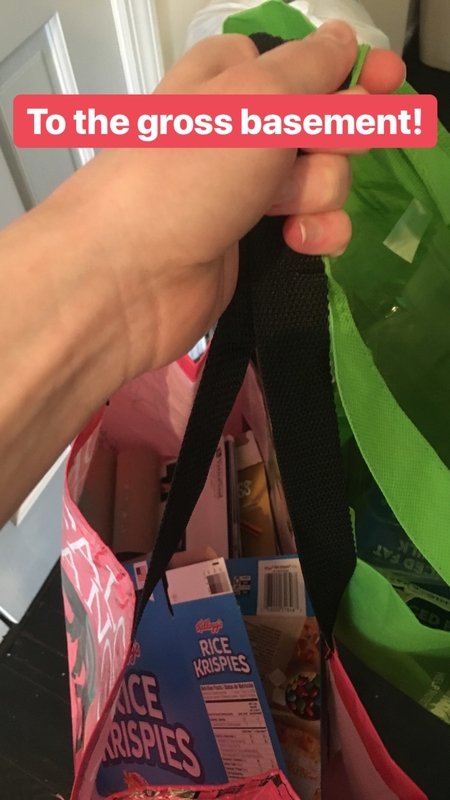 Both times it got even a little unruly, I decided it'd take less than a minute to just sort it all into reusable bags, even if I took it all downstairs later. While I admit that the first time the sorted bags sat for a day or two — it takes more than one minute to take them down and empty 'em! — the second time, when I was done sorting, I grabbed my keys and got them out of my kitchen. My dirty workout clothes didn't sit in my backpack. Instead, I put them in the laundry and hung the backpack up. Here's my typical post-workout, post-shower MO: Throw bag on the living room floor. Change if needed. Eat something. 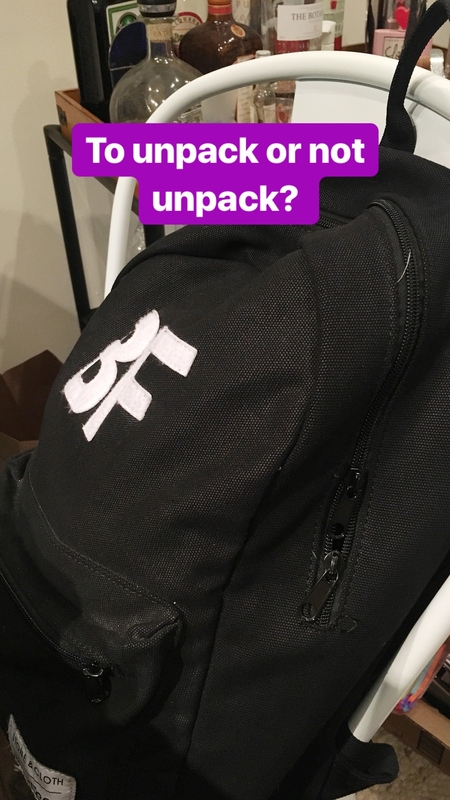 Before the next workout, rediscover smelly clothes still crammed in the backpack. 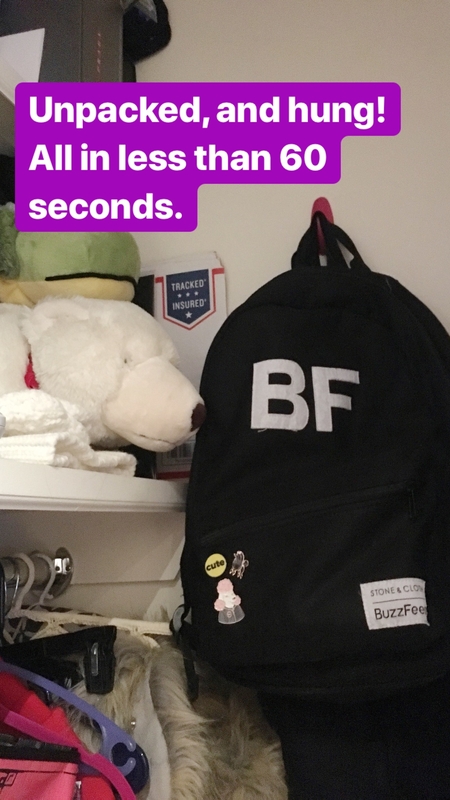 But with the one-minute rule, it was: Open backpack. Toss sweaty clothes in the laundry. Hang backpack on its hook in the closet. Change, eat, get on with life. 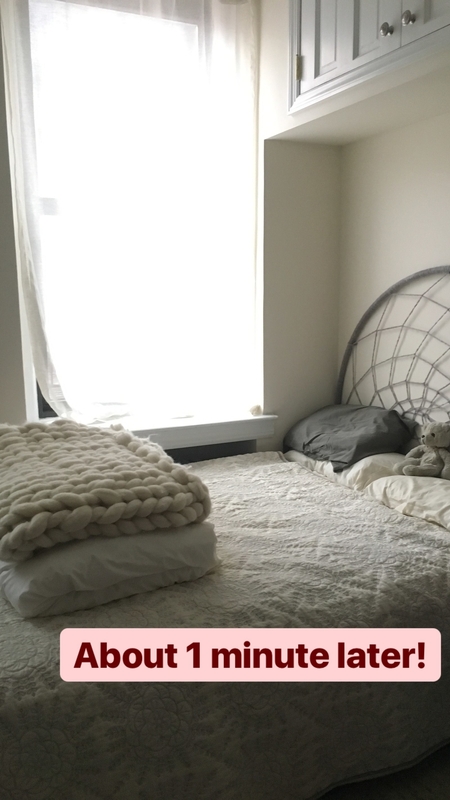 I actually made up my bed (almost) every single day. But had to find a simplified way to do it. I admit that last Friday I woke up a little later than I meant to, so I skipped making it. But the rest of the week — and weekend! and all of this week so far! — I've done it. And y'all? I *love* coming home to a made-up bed. There's nothing that'll make a tiny studio look sharper and more put together. I did simplify my definition of "made," so it could happen in less than a minute. 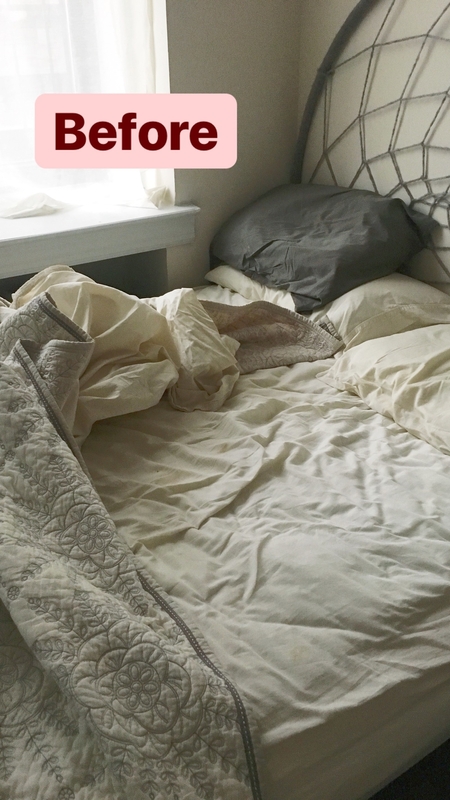 Basically, most nights I didn't need my heavy duvet, so the next morning, instead of layering it in-between my top sheet and quilt, I just folded it and my ~accent blanket~, and plopped them at the foot of the bed. But it looked way better than the crumpled mess it would be otherwise! 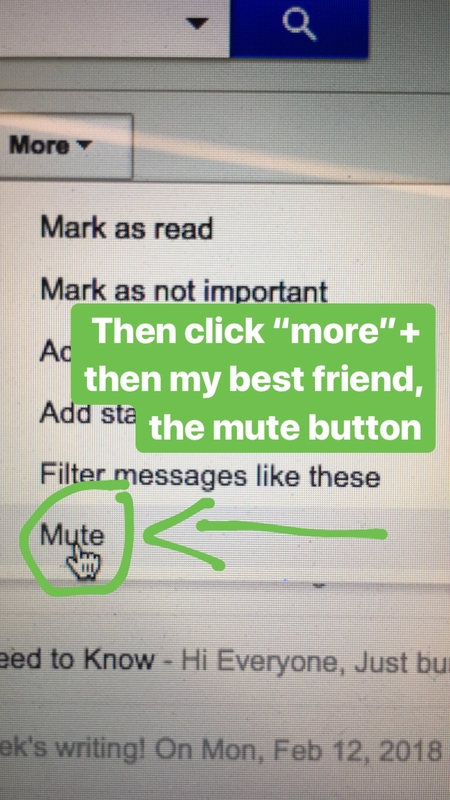 At work, I replied to any emails that needed a short answer right away — and muted big chains immediately, too. My current job isn't as email-intense as other jobs I've had, and I tend to answer emails pretty quickly anyway. But we do get big "Welcome XYZ Person!" emails that people gradually reply to over the course of hours and sometimes days — so they keep popping to the top of my inbox. I used to just ignore them even though they annoyed me a little. Now, I reply if I need to...then immediately hit MUTE (which archives them and stops them from appearing in your inbox at all). 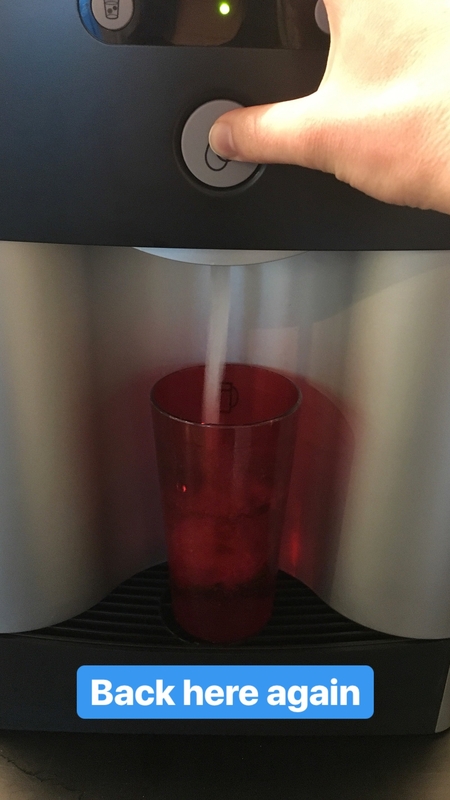 I drank more water than usual, because I actually got up to refill my cup. 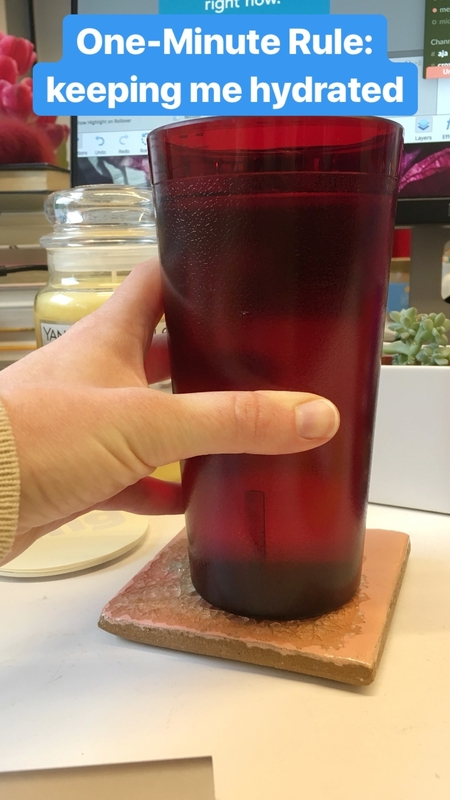 It's part of my ~work day routine~ to get a cup of water at the beginning of my day, but when it's empty I don't always up for refills. But that's yet another thing that takes just 60 seconds. And even if it ends up taking a little bit longer, it's a good break from my desk chair. And I spent time at the end of each day ~tidying~ my computer and my desk. 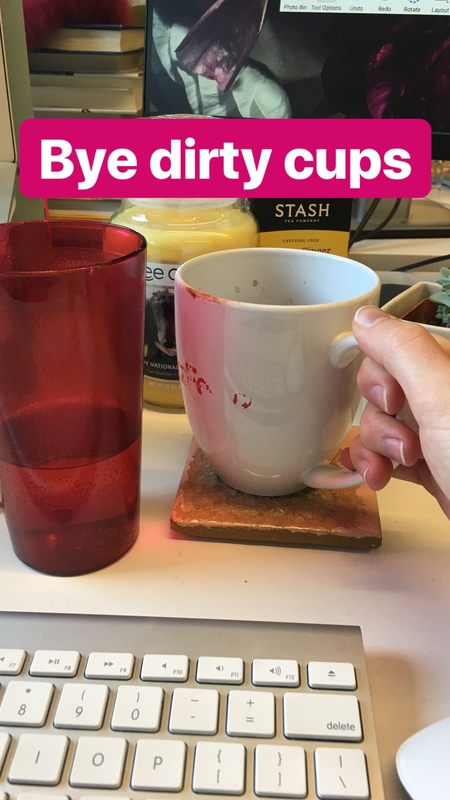 Tossing any trash, taking my water cup to the bus bin — and deleting any photos on my desktop that I didn't need anymore (a side effect of writing BuzzFeed posts all day). The bottom line? If you're looking for a way to have a neater, cleaner space — and a shorter to-do list — without putting in much effort at all, I think the One-Minute Rule's definitely worth a try. Of course as with anything like this, YMMV. But it costs literally nothing and could be really worth it in the end! If you're feeling intimidated, do what I did: Choose to do it for a week, or even like, three days, and see if it's something you want to keep. What are your experiences with the One-Minute Rule — or other productivity hacks? Tell me in the comments!